Iran has been repressing and imprisoning its political enemies for years, and it has been hanging them in increasing numbers. The mullahs use arrests and executions to increase fear throughout their own society, to maintain control. In the city of Mashhad on Tuesday, a group of three men were paraded and humiliated in public without being charged. At least 30 prisoners were hanged in prisons in a number of cites across Iran since Saturday. They hang teenagers by holding them in prison until they are no longer teenaged. This week’s victims included a 60-year-old man who had spent 20 years in prison. Some executions were solo, while others were carried out in groups. On Tuesday, a group of six were hanged in Gohardasht prison, in Karaj, including three men identified as Vahid Lalabadi, Ayob Farhadi, 33 and Amir Davoodi, 39. The three men had been transferred to isolation the day before. On the same day, another prisoner was hanged in Shiraz. On Monday, two other prisoners were hanged in Mashhad and one more prisoner was hanged in Bandar Abbas. On Sunday, four prisoners were hanged in Adel Abbad Prison in Shiraz and Shahab Prison in Kerman. On Saturday, two Baloch prisoners were hanged in Chahbahar Prison and another was hanged in the northern city of Rasht. Saman Nasim, a Kurd from the city of Marivan capital of Marivan County, Kurdistan Province, Iran, was arrested in July 2011. 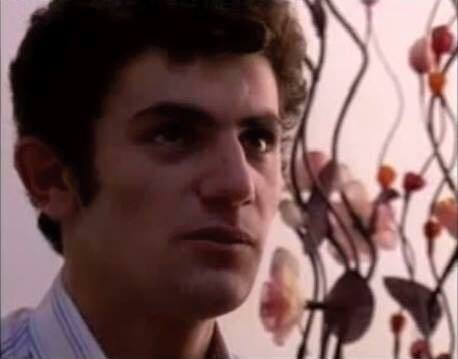 Mr. Nasim, who was only 17 when he was arrested, was condemned to death in one of the mullahs’ sham trials for Moharebeh (enmity with God) and corruption on earth, according to the NCRI release. The Iranian Resistance demands the European Union and the U.S. government take a stand against the anti-human sentence against this political prisoner. They also called on human rights bodies, including the Human Rights Council, the UN High Commissioner for Human Rights, the UN Special Rapporteur on the situation of human rights in Iran, the Working Group on Arbitrary Detention, the Special Rapporteur on extrajudicial and arbitrary executions, and the Special Rapporteur on Child Protection, to take all necessary measures to prevent the execution of Saman Nasim. NCRI says the international community is ignorant of the tragic human rights situation in Iran, especially the escalating trend of executions. When the world is silent, as they often are in matters relating to Iran, the clerical fascism that rules Iran is emboldened to barbarically and systematically violate human rights, and to export its terrorism and fundamentalism and to continue with its nuclear projects.